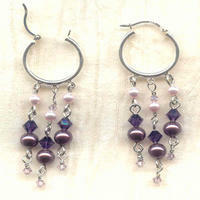 Pale rose and dusty lilac glass pearls set off Swarovski crystal light amethyst and purple velvet bicone beads to advantage. 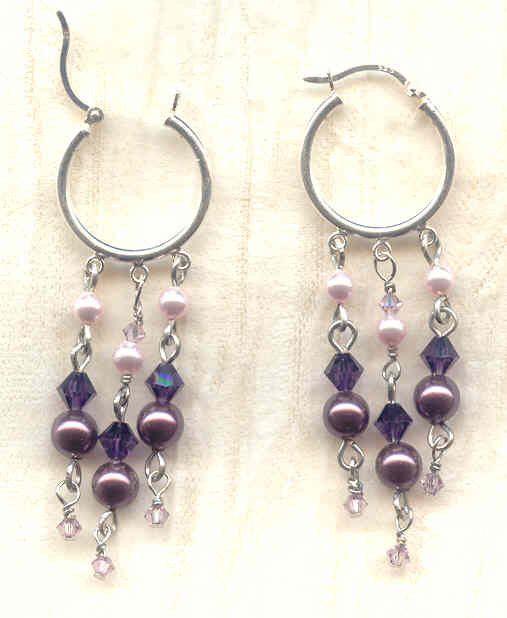 The beads dangle from sterling silver hinged hoop findings, with the longest fringe element ending about 2-1/2 inches below the top of the hoop. These lightweight, elegant beauties are brought to you by SPARKLE PLENTY.